Howdy Hoppers! For the latest Monday Montage I am sharing my Flourish Thinlets and Banners For You Card. 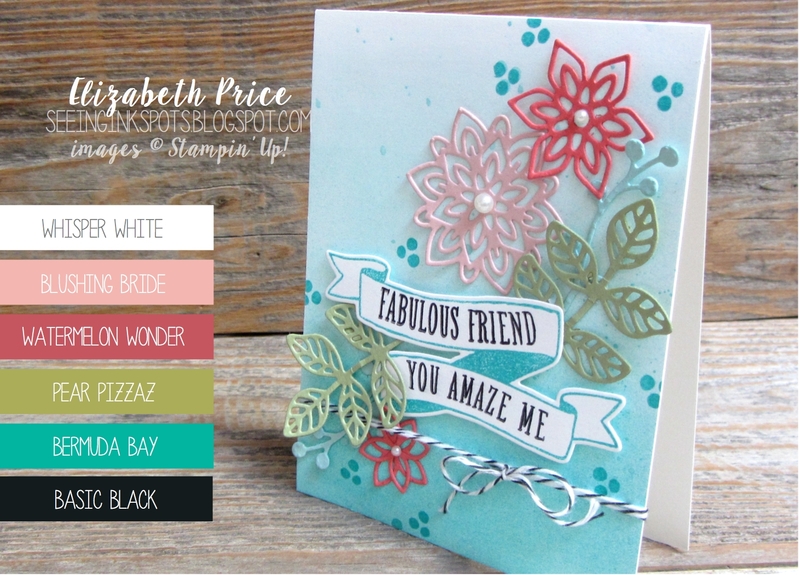 I am loving the lightly sponged ombre background of this card! It's so soft and eye appealing and I can't believe how easy it was to create. To make my background I cut a 4.25" x 5.5" piece of Whisper White Card Stock. 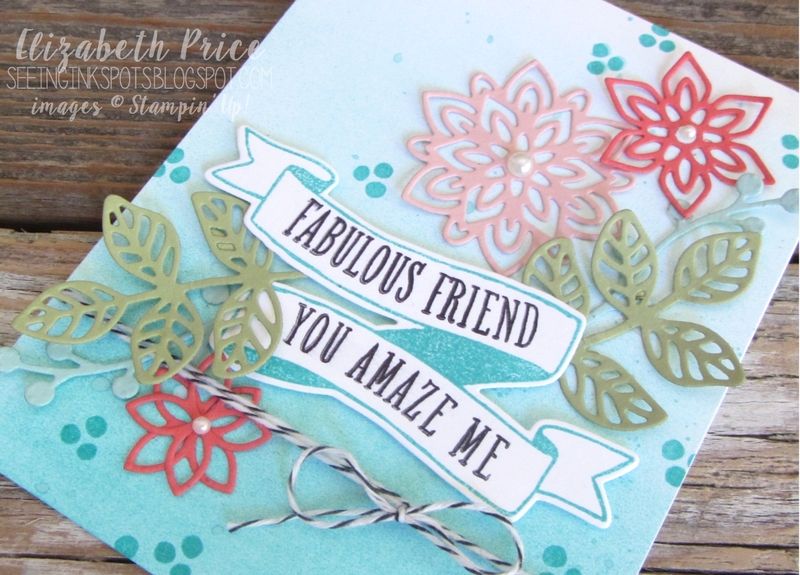 Then I gently inked up a Sponge Brayer with Bermuda Bay Classic Ink and rolled out the color on my card stock. I added lots of color to the bottom of the paper and eased up and barely put down any ink on the top. It's an easy ombre effect in no time at all. By the way the Sponge Brayers come (2) handles and (4) foam rollers to a pack for $8.00 US. A fabulous tool to have in your stash of supplies. 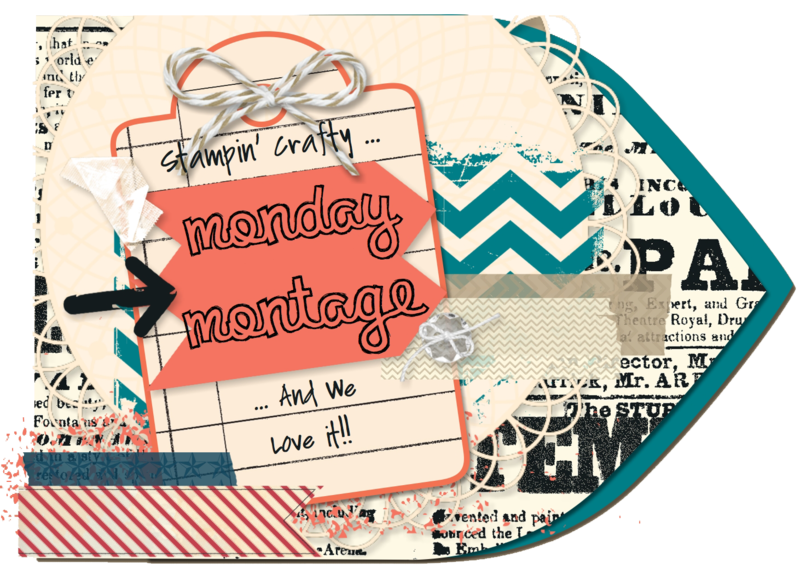 Have a super day and enjoy browsing through our Monday Montage Blog Hop. I love this Elizabeth!!! Now I need this set! Wow! I love this! Changing my shopping list too and the ombre? Delish!! !